ONLINE SHOPPING IS TEMPORARILY DISABLED. Please call us at (310) 479-4196 or email us at info@houseofhardwood.com to place your order. 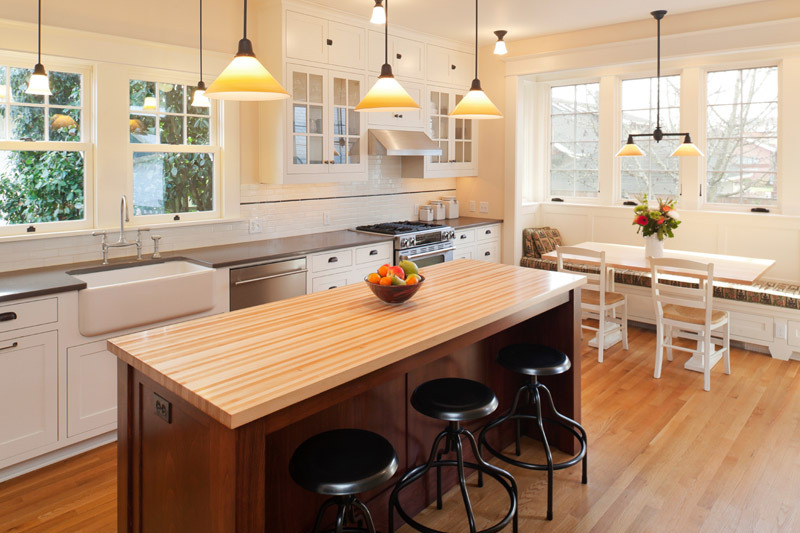 Butcher blocks originated in in Europe many centuries ago, and have been used to cut on ever since. 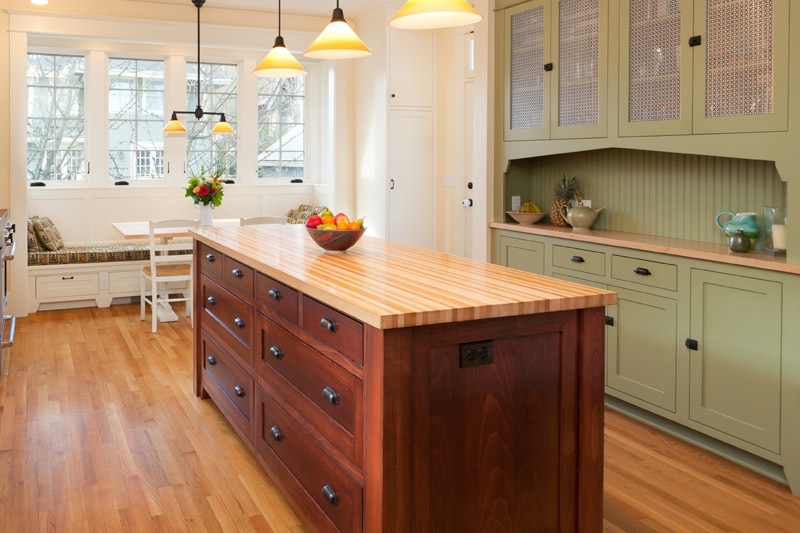 By turning the wood so that the sides or ends of the board become the cutting surface, a butcher block is much more durable than the face of the board as in a wide plank. 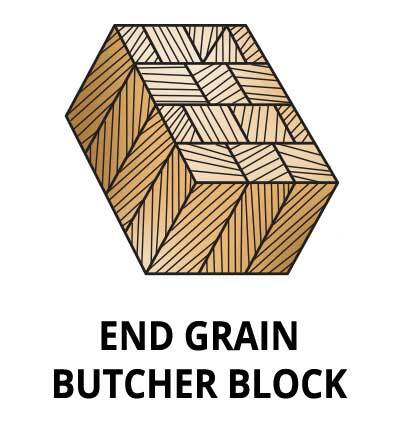 The additional numbers of grains on the cutting surface are much tighter, and also tend to absorb less moisture, coupled with the fact that more boards are used, which means more glue joints and the ability to make a thicker surface. This gives a much more stable and durable product. This type of construction produces a harder more durable top due to the grain on the edges of the boards being much tighter. We glue the boards face to face, which allows for much thicker tops than a wide plank. Boards will run the full length of the piece. 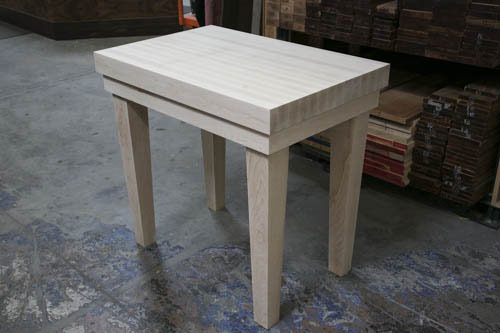 Great for kitchen islands, countertops and large spans. 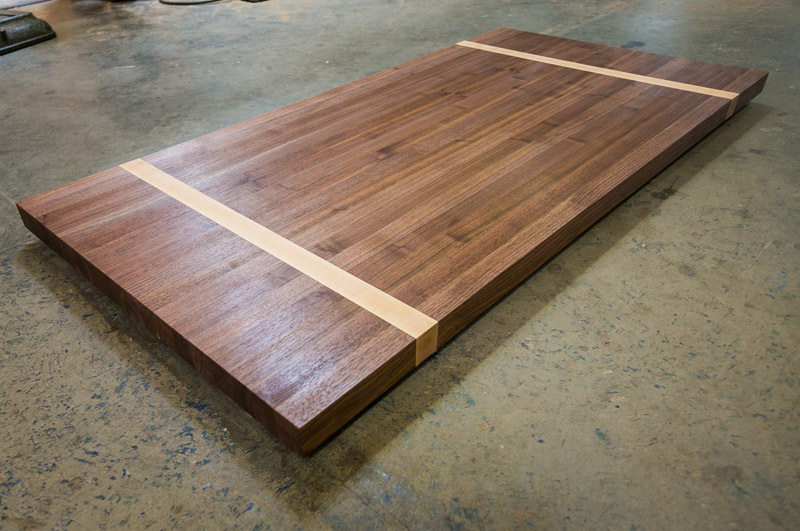 We use 1 3/4″ thick material, and the edge grain makes the beauties have a very linear look. The ends of the boards produce the hardest surface, these tops are fantastically durable for cutting or heavy use. An added bonus – it is much more difficult to mar, dent or scratch these pieces. 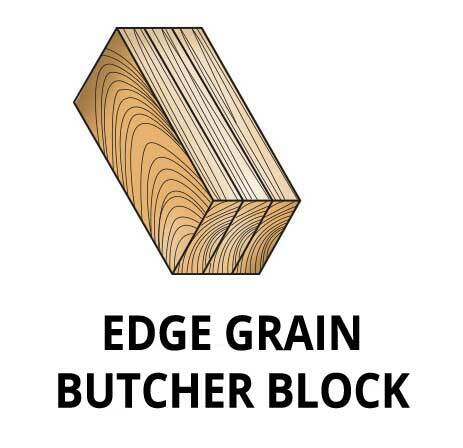 Great for cutting boards and working surfaces. Also, cool designs using different woods can incorporated. These are tops are labor intensive so please call for pricing.